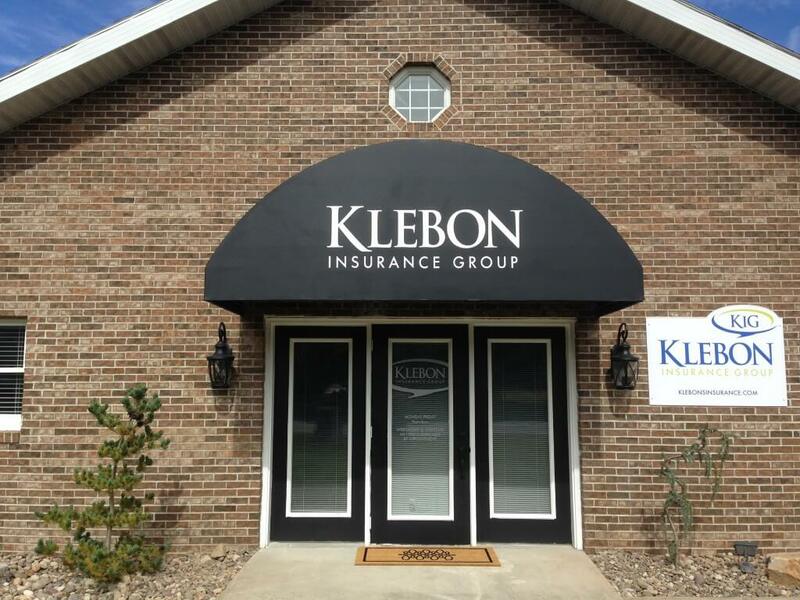 Protection from rain, snow, sun, and ice! 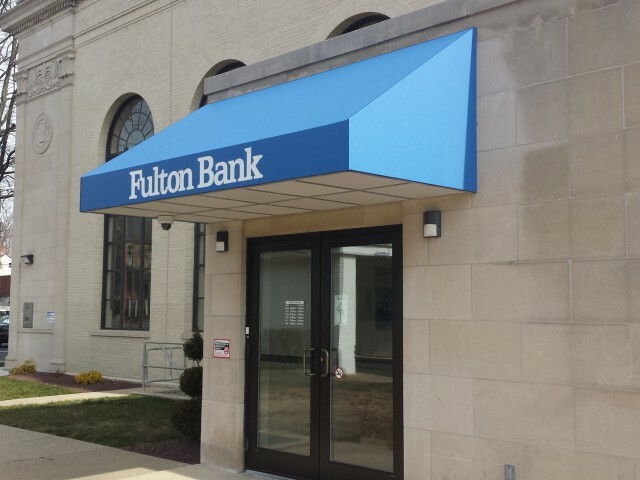 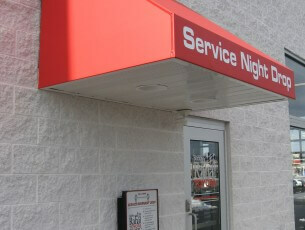 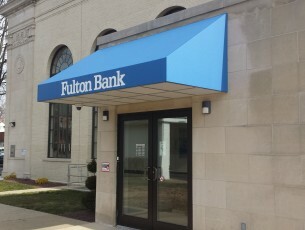 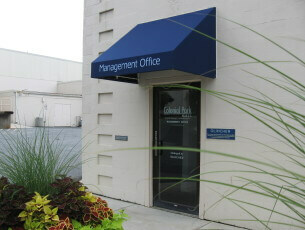 A shed style doorhood with lettering added to the rigid valance and an eggcrated bottom edge. 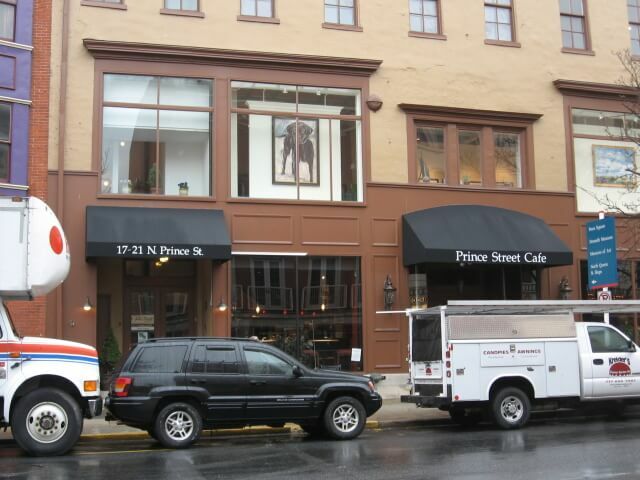 Click here to view the Prince Street Cafe awnings in Google Street View!